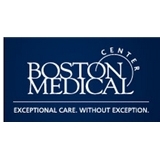 Boston Uni OB/GYN Doctor's Office Building (Boston) - Book Appointment Online! The Department of Obstetrics and Gynecology at Boston Medical Center (BMC)is a nationally recognized leader in women's health. In keeping with BMC’s mission to provide exceptional care, without exception, we contribute to the long-term health and well being of the women we serve by consistently providing the highest quality medical care to each and every patient. just a really nice guy that you could tell really cared about understanding your needs.